The Aerogeeks’ love of aero road bikes is well documented. When done right, road bikes are an ideal balance of speed and agility. Fast enough to give you a performance gain in shorter distance triathlons, while still affording you the necessary agility and stiffness to compete in the peloton. When done wrong; however, you end up with more of a wet noodle than a bike—one you certainly don’t trust on anything but the flattest of courses. So when we got on the 2014 Litespeed C1 Race for the first time, we immediately started asking ourselves – race steed or wet noodle? The good news? Mushy pasta this bike is not. When on the C1, you often ask yourself if this is really an aero road bike. It accelerates quickly – and that’s not just the aerodynamics at play – the bike is stiff and transfers power extremely well. It communicates with the road without making you wish for the double padded tape the pros use at Roubaix. By the way, we figure this is a good time to address the elephant in the room. Yes, we are talking about a carbon Litespeed, a company more well known for creating titanium bikes. The Trek that Lance raced the ‘99 Tour de France time trials on – that was a repainted Litespeed Blade. 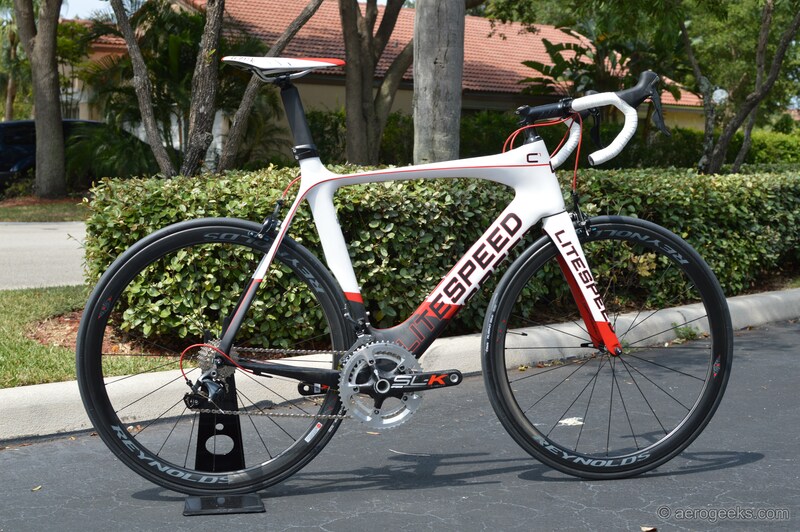 But here’s the thing, Litespeed can make some impressive carbon bikes as well. We were also surprised at just how agile this bike is. It begs to be thrown hard into corners, and we almost felt guilt that we have no real descents in South Florida to offer the C1. We reached out to Brad DaVaney, the engineer responsible for this bike, (and quite a few others from Litespeed and Quintana Roo) to better understand how they created an aero bike that truly felt like a road bike. In addition to solo test rides, we used this bike several times when playing the role of Sherpa for one of our editors in their run up to a 70.3. We spent a few 60-mile rides acting as a rolling aid station (carrying extra bottles, tubes, and tires), and yet we had no issue keeping up with their race-ready TT frame (though we have to admit, we did spend most of that time in the draft). And each time, we hopped off the bike feeling comfortable and relaxed. Between the aero benefits and the comfort, this bike makes for a perfect Sherpa-mobile. So what’s in Litespeed’s secret sauce? The first ingredient is “aerologic,” Litespeed’s design philosophy. Starting with the frame, Litespeed built the downtube with a concave shape where the bottle bosses live. This aero shroud around the bottle actually helps make the bike faster with a bottle onboard than without. And when playing the role of Sherpa, this was something we were particularly happy to hear. Up front is a bowed fork and tapered head tube. The seat tube has a small cutout to help the rear wheel get tucked in as close as possible. But one thing that caught us by surprise were the brakes (and braking cabling) – Litespeed went the traditional route. Nothing hidden up front or behind. But really, that shouldn’t have surprised us. This is the company whose new Quintana Roo PR6 superbike also went the traditional route in the name of simplicity. For 2014, this also included the brake lines. When we first got the bike, we were surprised to see that the C1 had externally run brake lines (on the C1 and C3 – the C1R had internally run cables). For 2015 however, Litespeed has brought the internally run brake lines to the C1 and Ci2 as well (the C3 still utilizes external lines). And honestly this doesn’t surprise us in the least. Since its release, Litespeed has made continual improvements to the C-Series line. First was the move from an integrated seat post to a sliding seat post (a change we were big fans of since it allows for greater future adjustments and the ability to more easily resell the bike). And this year, the move to internal brake lines – and while there may not be a huge aero benefit, we do recognize that most if not all aero road frames include this so no surprise that Litespeed would eventually bring it to the C1 as well. 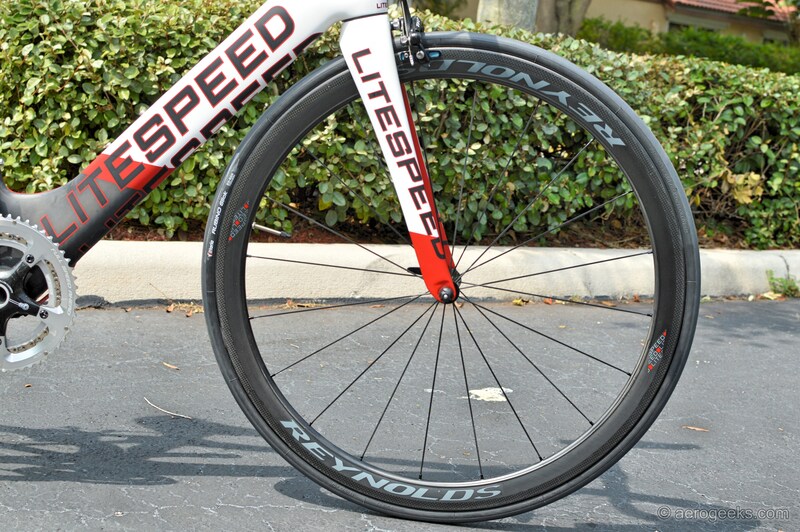 For 2015, Litespeed has decided to go with Reynolds wheels across their C-series lineup (the C1, C3, and Ci2 get Reynolds Assaults, while the C1R gets 58 Aeros). We have previously reviewed the Reynolds 72/90 Aero wheels as well as the new Strike SLGs, but this is our first time with the Assault SLGs. Our previous experience with Reynolds’ products did set some high expectations. The wheels accelerate quickly and stop even quicker. We have come to appreciate the stopping power of Reynolds CTg braking technology, specifically their new cryo blue pads on the bigger Aero 72/90s. So when paired with the lighter Assaults, they stopped on a dime. The Assaults feature a 41mm depth with a 25mm width and Reynolds’ new SLG technology. Reynolds first introduced its Swirl Lip Generator (SLG) on its RZR line. The original SLG was a .9mm “lip” placed on the sidewall of the rim near the spoke face. Testing at A2 demonstrated a time savings of 12.5 seconds over 40km. SLG effectively helps turbulent air passing over the wheel to re-attach to the spoke face after flowing over the spinning rim. It also decreases the side force acting on the rim, which smooths turbulence and reduces drag. Like the Strike SLG, Reynolds went with a lip that was 8X larger than the original. CFD analysis shows this Enhanced SLG brings a 35% aerodynamic performance improvement over the previous Assault model. When spending time cruising in a straight line (TT style), the wheels felt comfortable but left us wishing for something a touch deeper (especially knowing that the C1R ships with the 58 Aero, whose more inexpensive brother, the Strike, has a 62mm depth and may have been an ideal fit). The few times we encountered any side winds we experienced close to no push. The 41mm depth is fairly shallow, so we weren’t all that surprised. Of course we enjoyed it all the same. Speaking of things we enjoyed, we really appreciate how Litespeed also does the consumable components right. Meaning that, when spec’ing the bikes, they don’t de-spec the consumables and put lower quality parts on bikes with higher quality components. The C1 and Ci2 (Ultegra and Ultegra Di2) both get an Ultegra chain and cassette. The C3 (105) gets a 105 cassette and chain. The C1R with Dura-Ace Di2 is the only example of de-spec’ing on consumables as it gets an Ultegra chain (but still the Dura-Ace cassette). For 2015, the C1 is going to set you back $4,900 for an Ultegra mechanical groupset and the Assault wheels. If you are looking to go electronic, the Ci2 moves to Ultegra Di2 (and keeps the Assaults) and has an MSRP of $6,200. 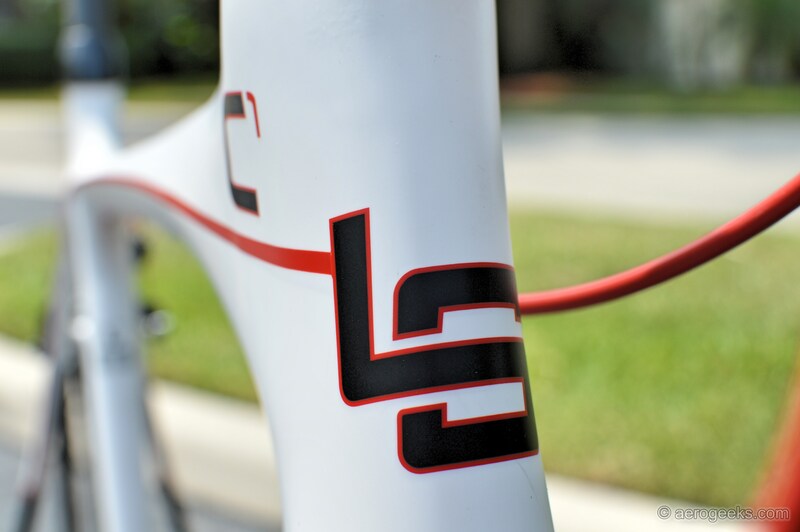 The C3 is the lowest priced C-series bike with the Assaults and a 105 groupset and will set you back $3,900. At the top of the line is the C1R with Dura-Ace Di2 and the Reynolds 58 Aeros (the wheels alone retail for $2,775), the total package will set you back $10,000. For us, sending the C1 back is going to be bittersweet. We had some great rides on it, whether we were the Sherpa – helping our teammates get race ready, or just taking long solo rides where we could briefly imagine ourselves on a breakaway racing for glory. The C1 was everything we had hoped for and more. While Litespeed may still be known as the guys who made great titanium frames, bikes like the C1 will continually show they can do some amazing things in Carbon as well.